Roll Group has been awarded a contract to transport 24 modules for the Total Ethane cracker project in the USA. The transport will cover seven single voyages, using both RollDock and BigRoll vessels. The services and expertise of Roll-Lift will also play a part in the completion of the land transport aspects of the project.The first voyage is scheduled within the next two weeks. The other transports will be undertaken between April and August 2019. The modules are currently in the process of building in Hamriyah (UAE). 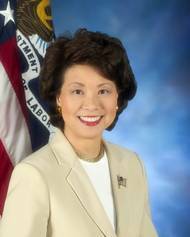 U.S. Transportation Secretary Elaine L. Chao Announces $1.5 Billion in BUILD Transportation Grants to Revitalize Infrastructure Nationwide. Some of the 91 projects include port grants, as well. WASHINGTON – U.S. Transportation Secretary Elaine L. Chao today announced $1.5 billion in discretionary grant funding to 91 projects in 49 states and the District of Columbia. The grants are made through the Better Utilizing Investments to Leverage Development (BUILD) Transportation Grants program and support road, rail, transit, and port infrastructure projects across the country. Specialty construction company Orion Group Holdings, Inc. said it has been awarded an approximately $10 million dredging contractThe deal was awarded to company’s marine segment from the U.S. Army Corps of Engineers for the dredging of the Sabine-Neches Waterway in Orange and Jefferson counties, Texas, including the lower reach of the Neches River, the Sabine-Neches Canal and Turning Basin and the Port Arthur Canal.The project is expected to begin late in the fourth quarter of 2018 with a duration of approximately six months. Colonial Pipeline, the largest fuel system in the United States, said on Monday that Port Arthur, Texas refiners can use their own pumps as a temporary solution to get gasoline and other products into its main lines. Flow rates on Colonial's lines, which supply more than 3 million barrels a day of fuel to the populous U.S. east coast, have been sharply reduced after Hurricane Harvey caused massive floods and damaged supply points, including at Port Arthur. The Port Arthur facility connects directly to Total and Valero's refineries in Jefferson County, Texas. While crude deliveries by larger ships to Beaumont in Texas remain restricted after Hurricane Harvey, a workaround using pipelines can supply Exxon Mobil's refinery there, shipping sources said. Silt and clay lingering in the Port of Beaumont still threaten to entrap large ships, two weeks after Hurricane Harvey ravaged Texas, but pipelines are available to move crude up to refineries there from nearby terminals which are less affected by sediment. Beaumont's port has been closed to ship traffic over 26 feet (8 meters) since Sept. 9 by the U.S. The Corpus Christi Ship Channel is open to restricted operations following a record six-day closure caused by Hurricane Harvey. Harvey has left many Gulf Coast petroleum refining centers either completely shut down or with operations significantly scaled back. An estimated 25 percent of the region’s refining capacity is operational, positioning Corpus Christi as the largest refining center on the Texas Coast that is fully operational. 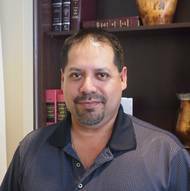 The ship channel’s restricted opening, authorized by the U.S.
Two shipping companies based in Egypt and Singapore will pay $1.9 million in penalties after pleading guilty in federal court to violating the Act to Prevent Pollution from Ships (APPS) and obstruction of justice for covering up the illegal dumping of oil-contaminated bilge water and garbage into the sea. Defendants Egyptian Tanker Company and Thome Ship Management are the owner and operator of the offending vessel, the 57,920 gross ton, 809-foot long, oceangoing, oil tank ship called the M/T ETC Mena. 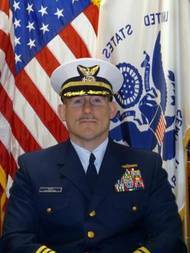 The plea agreement was announced by Acting Assistant Attorney General Jeffrey H.
Coast Guard Capt. 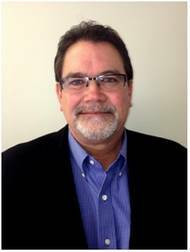 Brian Penoyer transferred command of Sector Houston-Galveston to Capt. Peter Martin during a change-of-command ceremony Friday at the Bayport Cruise Terminal near Houston. Martin assumed command of Sector Houston-Galveston and responsibility as Captain of the Port for operations along the Gulf of Mexico coastline from Lake Charles, Louisiana, to the Colorado River in Matagorda, Texas. This extensive area of responsibility includes 10 units and eight cutters between Texas City, Galveston, Port Arthur, Freeport, Sabine and the entirety of the Houston Ship Channel. The U.S. Coast Guard is working with state and local partners in response to a bulk carrier loaded with sulfur that ran aground in the Gulf of Mexico Tuesday, while transiting outbound from Neches Industrial Park. At approximately 1:30 p.m., watchstanders at the Coast Guard Vessel Traffic Control Port Arthur received a call from the pilot aboard the 615-ft.Panamanian flagged vessel Jian Qiang, stating they ran hard aground approximately 1 mile from the westernmost jetty, outside buoys 33 and 34, in the Gulf of Mexico. There were no reports of significant damage, injury or pollution discharge. More than 700 union workers at the largest U.S. refinery unanimously approved a new contract in a vote at their union hall in Port Arthur, Texas, on Tuesday night, said union officials. The United Steelworkers union (USW) also said workers at three Tesoro Corp refineries on the West Coast were making progress in finalizing contracts. Return-to-work agreements, usually the final step before ratification votes, were under discussion. USW members at the Motiva Enterprises Port Arthur, Texas, refinery walked off their jobs on Feb. 21 as part of the nation's largest refinery strike in 35 years. The largest U.S. refinery strike in 35 years entered its fourth week on Sunday as workers at 12 refineries accounting for one-fifth of national production capacity were walking picket lines. Sources familiar with the negotiations said talks may resume by mid-week to end the walkout by 6,550 members of the United Steelworkers union (USW) at 15 plants, including the 12 refineries. Representatives of both sides said no date has been set to restart negotiations, however. The strike comes as U.S. workers seek more pay in a strengthening economy. Wal-Mart Stores Inc has said its U.S.
USCG revises policy on transfer of cargo by foreign tank vessels The U.S. Coast Guard (USCG) Sector Houston-Galveston has established a policy governing the transfer of cargo by foreign tank vessels in advance of overdue safety compliance inspection to help minimize cargo transfer delays within the Houston-Galveston (including Texas City, Freeport, Port Arthur and Lake Charles) area of responsibility (AOR), GAC reported. As a result the Cargo Waiver Request form has been revised. GAC opened a new office in Galliano, La., which the company said is part of its response to the increase of offshore oil and gas activity in the region. The new GAC Shipping USA office near Port Fourchon, Morgan City and Amelia enables the provider of shipping, logistics and marine services to better serve the needs of customers with vessels calling at the ports. Port Fourchon is the region's main port supporting offshore oil and gas activity, whilst Morgan City is considered the birthplace of the U.S.
U.S. Transportation Secretary Ray LaHood today announced $9.98 million in grants to 13 small shipyards throughout the United States to help modernize facilities, increase productivity, and help make the country’s small shipyards more competitive in the global marketplace. Over 50,000 Americans are employed by small shipyards in more than 30 states. The facilities vary in size, from family-owned businesses employing a few dozen workers to state-of-the-art facilities with hundreds of employees. U.S. Transportation Secretary Ray LaHood announced $9.98 million in grants to 13 small shipyards throughout the United States to help modernize facilities, increase productivity, and help make the country’s small shipyards more competitive in the global marketplace. “These grants will help improve our ability to build and repair ships in the United States, strengthening our economy and helping position these small businesses and shipyard workers to be better prepared to win the future,” said Secretary LaHood. The following is a transcript from a May 1, 3:52 p.m. EDT, press briefing by Coast Guard Commandant Thad Allen, and Assistant to the President for Homeland Security John Brennan on ongoing response to the oil spill following the Deepwater Horizon incident. ADMIRAL ALLEN: Thank you, Denis. Good afternoon to you all. This afternoon it was announced that I would be the National Incident Commander for this continuing response. I'd like to provide some context at the outset and make a couple of comments about myself personally and some background that I have.